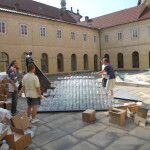 The courtyard of St. George’s Convent is a relatively large space surrounded by cloister. 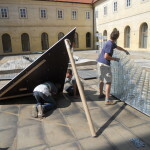 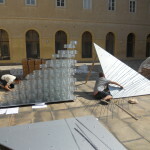 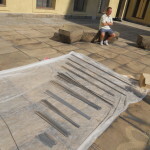 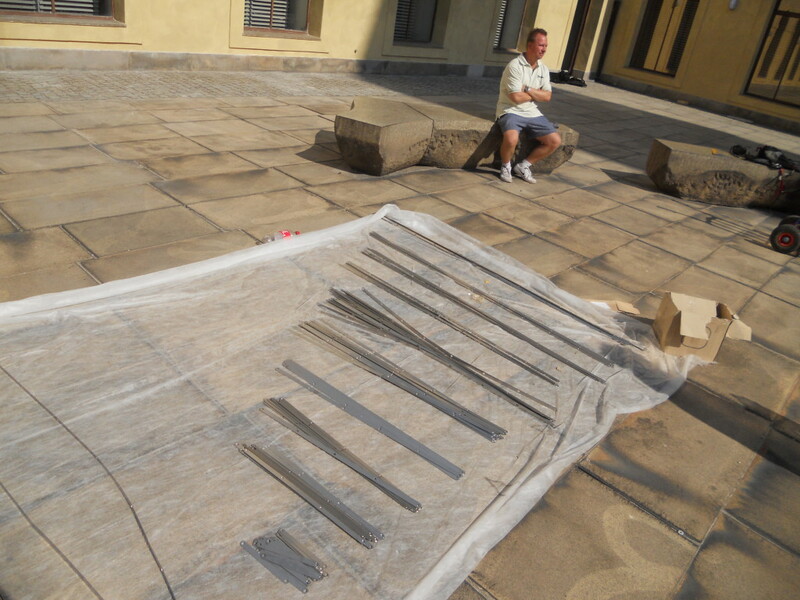 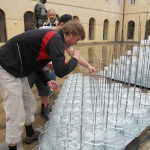 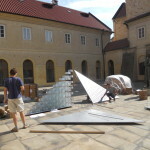 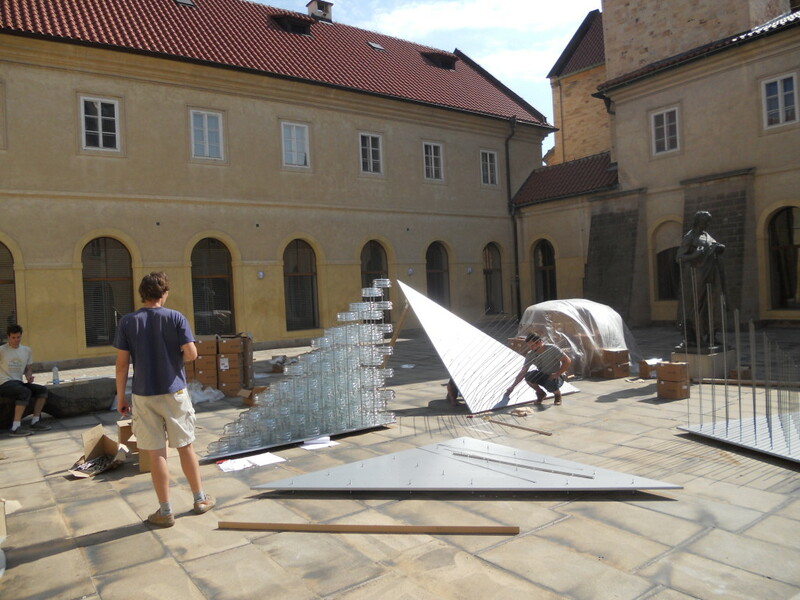 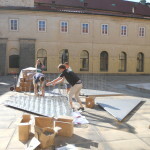 The key difference among these areas determines the principles of glass object placed in the courtyard. A visitor should have an opportunity, in addition to gallery way of viewing glass, to be in immediate interaction with it. 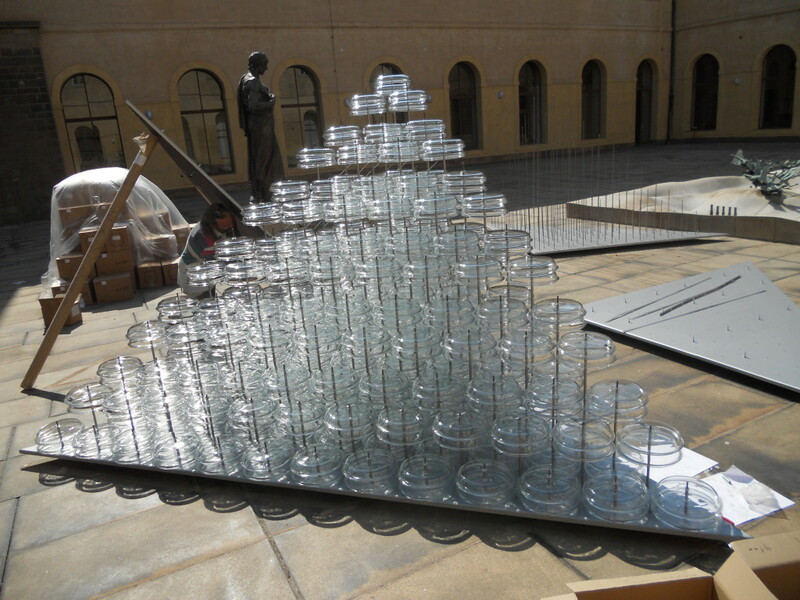 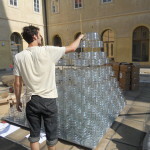 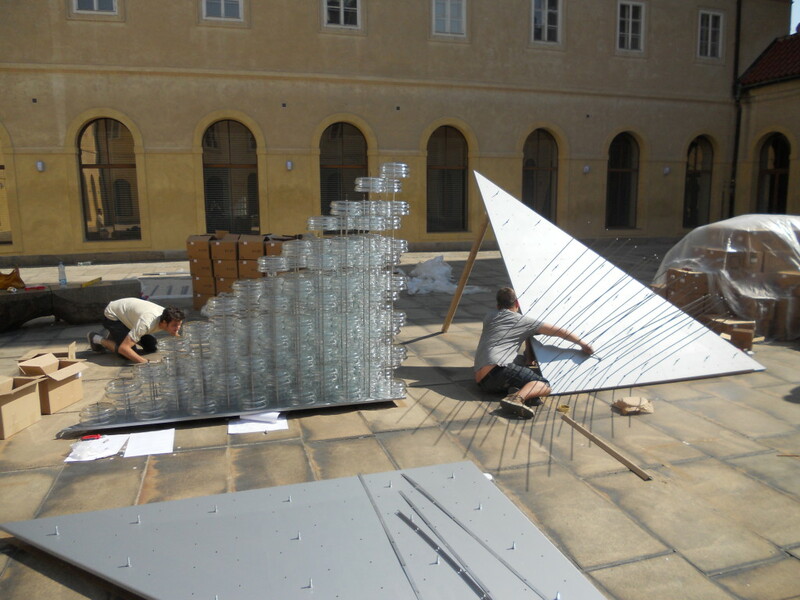 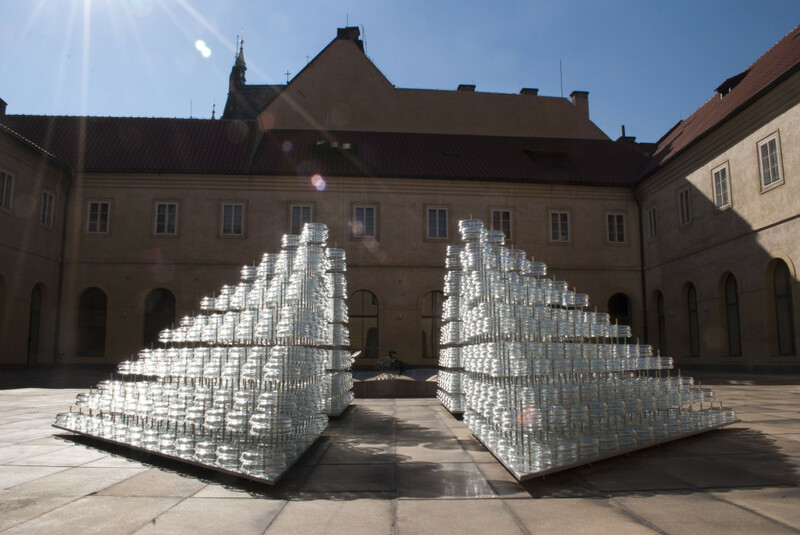 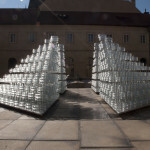 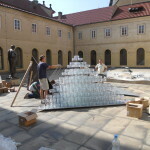 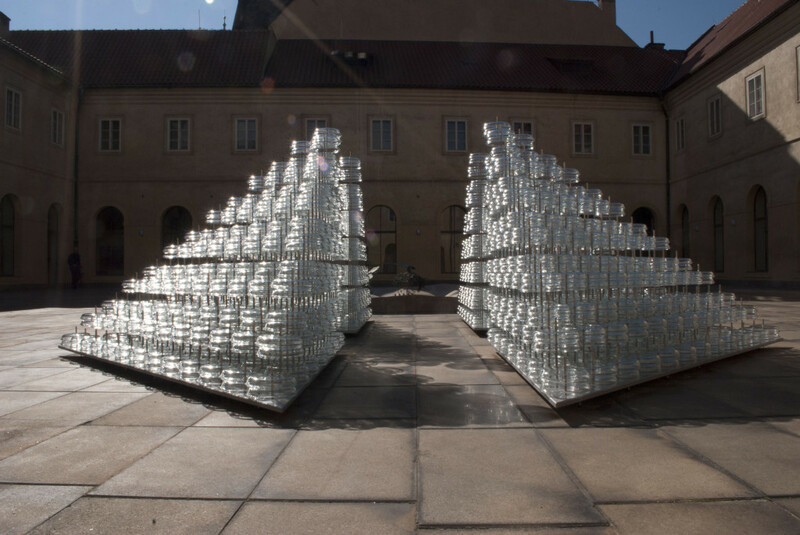 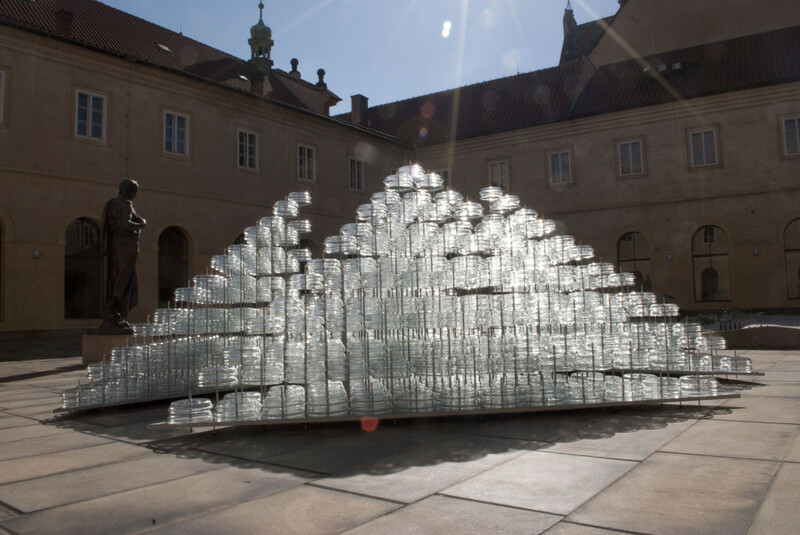 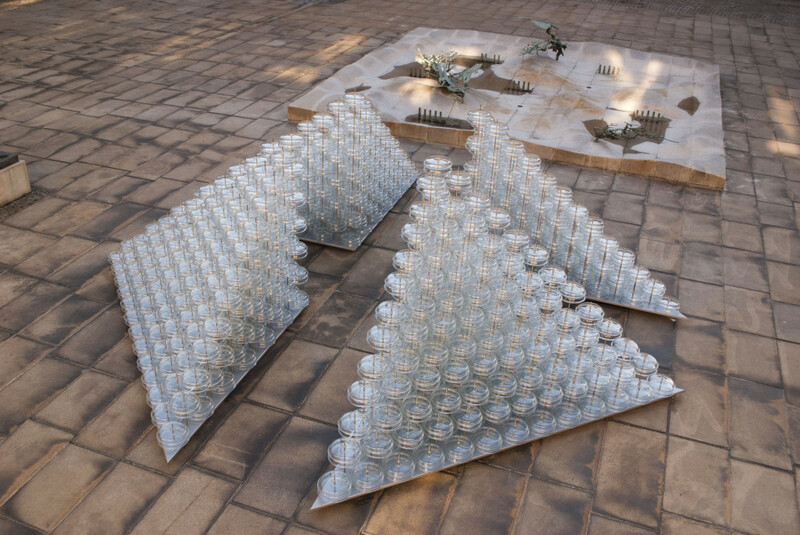 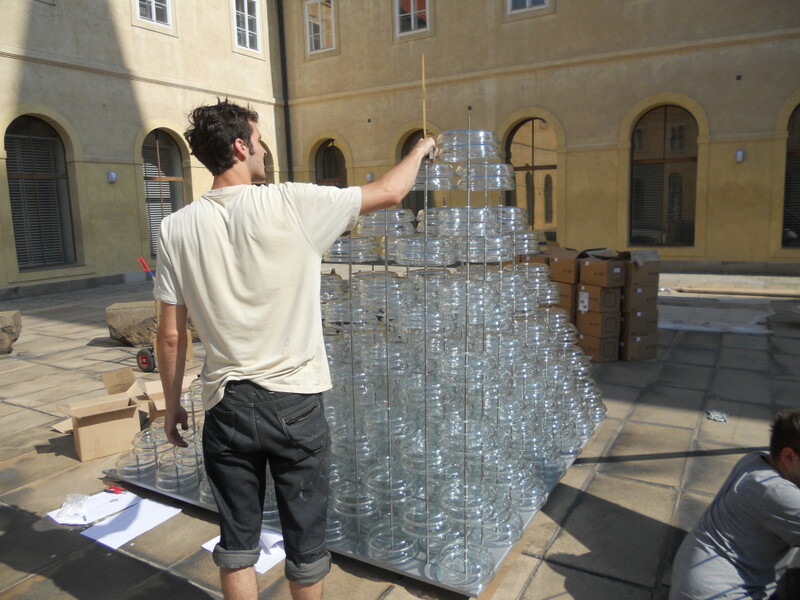 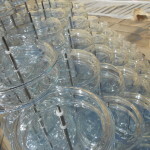 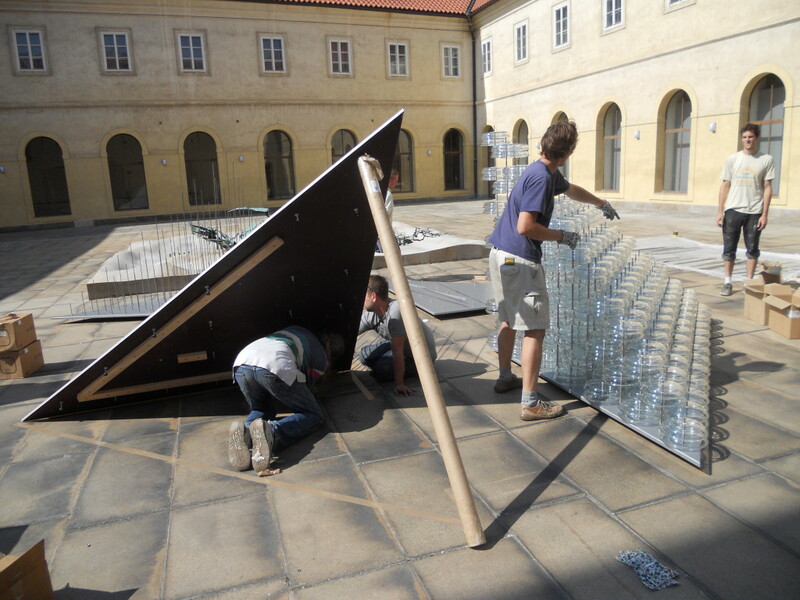 The great number of glass lids provides the possibility to use them as a building element. 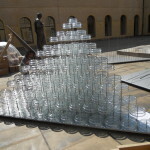 Probably the most proven construction built from a large number of identical building blocks is a pyramid or ziggurat, monumental buildings of cultures that discovered glass. 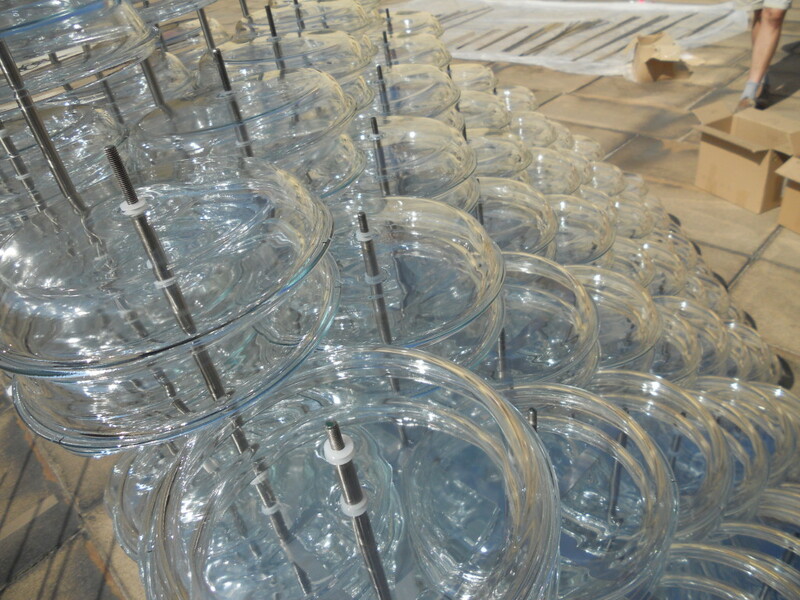 However, a round shape of transparent lids resonates with the ideal sharp form in which the empty spaces necessarily emerge. 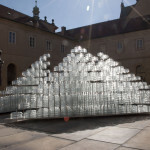 They are filled with light, sharp edges disappear and the form becomes transparent. 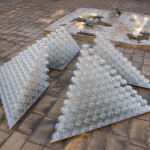 The impression is enhanced by quartering of the pyramid which allows being in interaction with the object and has a person to be surrounded by glass. 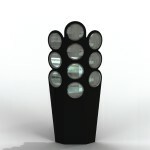 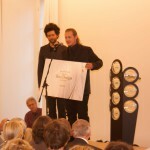 The lectern is made up of glass lenses. 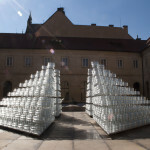 Using them, instead of an impenetrable barrier, a transparent surface is developed between the speaker and the audience that deliberately distorts everything behind it. 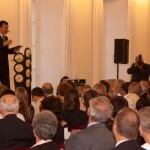 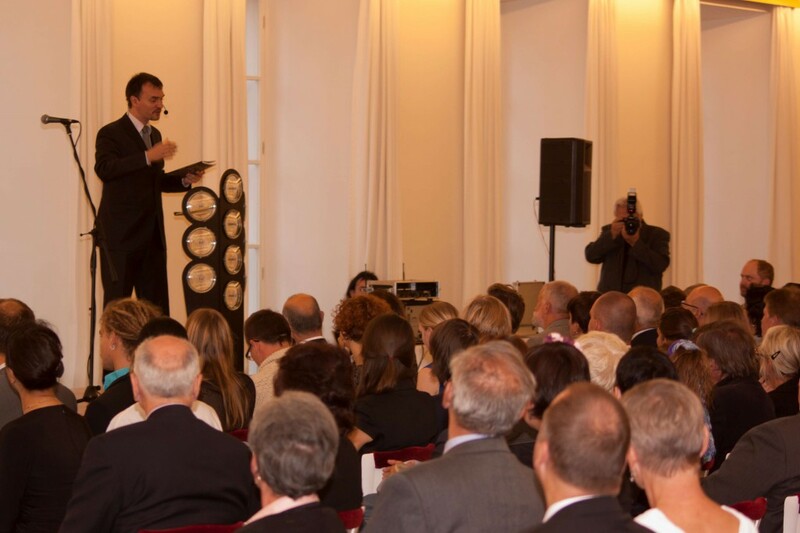 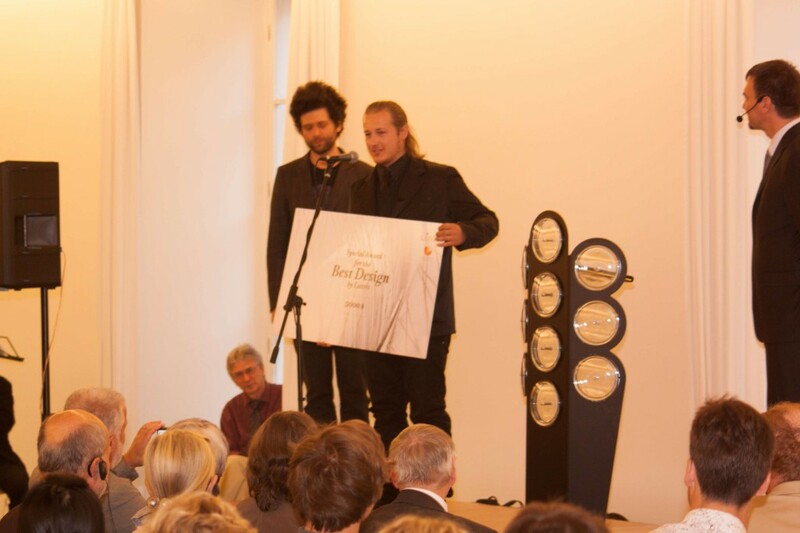 Thus, the lectern is created, which effortlessly supports what is important, a speech taking place above it.